EWEV is set on helping the woman locate not just her voice but her purpose and one of the ways that this is attainable is by the leadership and training materials of its founder, Sandra Ekpenyong. Her two books for women is strategically written for female leaders as well as the everyday woman who believes that she has a voice and is willing to use it to make an impact. 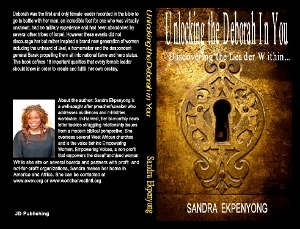 Unlocking the Deborah in You, helps to harness the leadership qualities that every female leader ought to have without compromising her femininity and integrity. Whether you are a CEO, a minister or a housewife, you are called to lead and use the talents God has given you to do so! 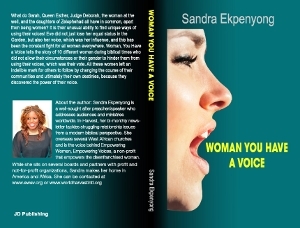 Woman, You have a VOICE... was written to help the voiceless among our society to speak up and be heard. Ten women of the bible all in different times and unique circumstances find their voices and uses them effectively to make an impact; some quietly while others came shouting; all played a vital role in ensuring that women became empowered through the use of their voices.